Let me tell you about the time when I first fell in love with Sonya's Garden. 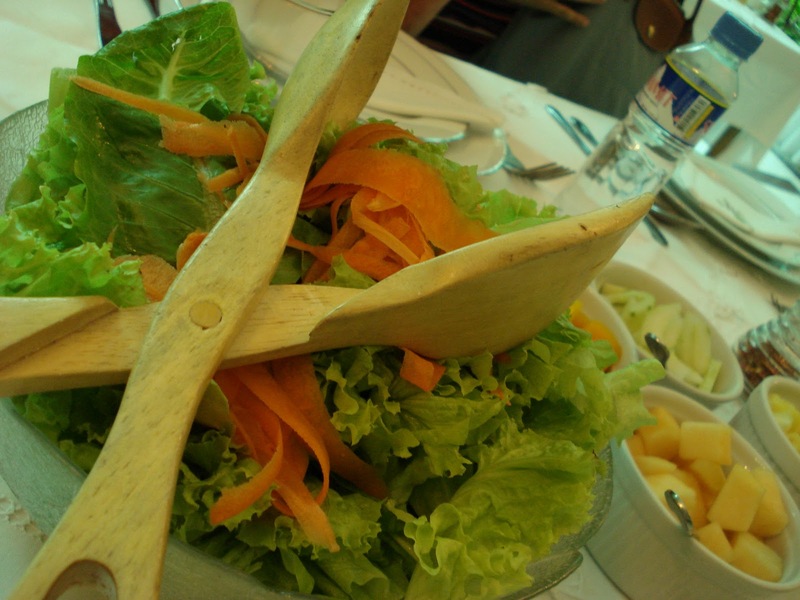 It was sometime in the early 2000s when my mom brought the entire family to Tagatay for a special healthy lunch. After a couple of wrong turns here and there, my dad carefully drove down a small side street and my mom rolled down the window to keep her eyes out for a small metal signage on the gate. It wasn't easy finding it then as there were no huge banners or directional arrows to guide us. All we had was my mom's memory and a couple of instructions from a family friend. Finally, we found it. We drove into the compound and parked at the gravel lot. My mom called to reserve us a table and after giving our name, we were lead into a small greenhouse-like room where our table was ready for us. The moment we sat down, there was no menu handed to us. However, it seems like a scene out of Beauty and the Beast where the food would start coming out and in our minds we had the song Be our Guest playing in the background. The first course was a bowl of leafy greens with edible flowers. It was accompanied with a lot of white bowls filled with fruits, nuts and more vegetables. I love my salad with lots of chopped eggs, cheese, pop beans, sweet mangoes and cucumber. There were a whole lot of toppings to choose from thus the choices were endless. Back then, they only had one dressing -- Sonya's signature creamy dressing that never fails to make my mouth water by just thinking of it. 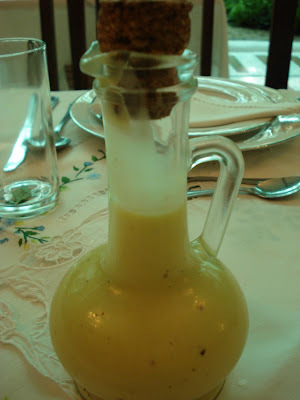 Through the years, she has another option for the vinaigrette lovers like my dear husband. Whichever dressing you choose, you're sure to love Sonya's salad. We were surprised that the servers would diligently refill our bowls every time they see this empty. My mom then explained that it's actually Eat-All-You-Can here in Sonya's. For our drink, we were served with a pitcher of cold Dalandan Juice. This is perfect after a long drive from Metro Manila. Once again, the server would refill your pitcher all throughout the meal. While having salad, next came the bread box. 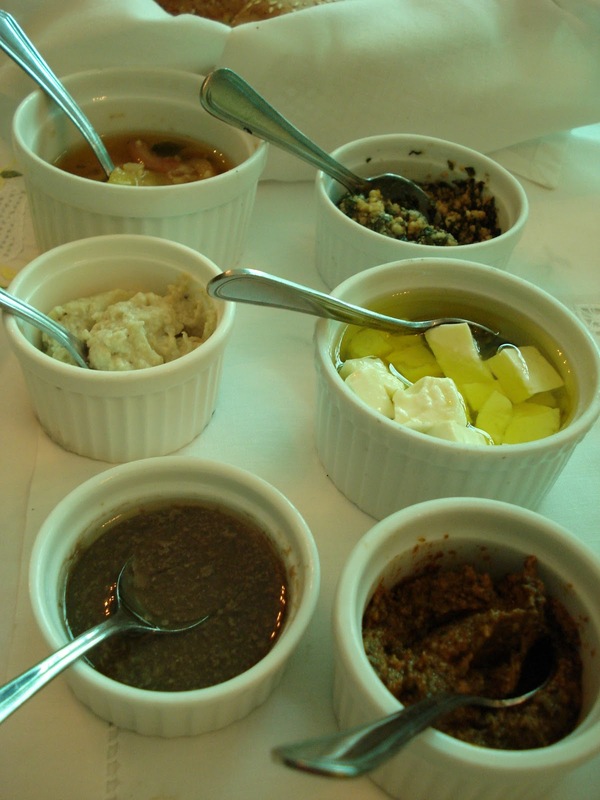 In true Sonya's fashion, the freshly baked bread came with six different spreads : Pesto, Anchovies, Kesong Puti, Tomatoes in Olive Oil, Mushroom Pate and Sun-dried Tomato. We enjoyed trying each spreads but my personal favorite was the Sun-dried Tomato while I would add the Kesong Puti to my salad and would dip the Singkamas on the Anchovies dip. By this time, we were feeling quite full after three rounds of salad and finishing the bread from trying out all the dips. Next came another huge bowl of steaming hot pasta noodles with once again a wide array of toppings and two types of sauces. I love the huge plump prawns, sauteed vegetables, olives, capers and a lot more. The sauce was either Sun-dried Tomatoes cooked in Olive Oil or Creamy Chicken. Our family loved the Sun-dried Tomato sauce which prompted Mommy to buy this regularly at our neighborhood deli. At present, the huge prawns where replaced with juicy salmon belly which was also a delightful addition to the pasta. 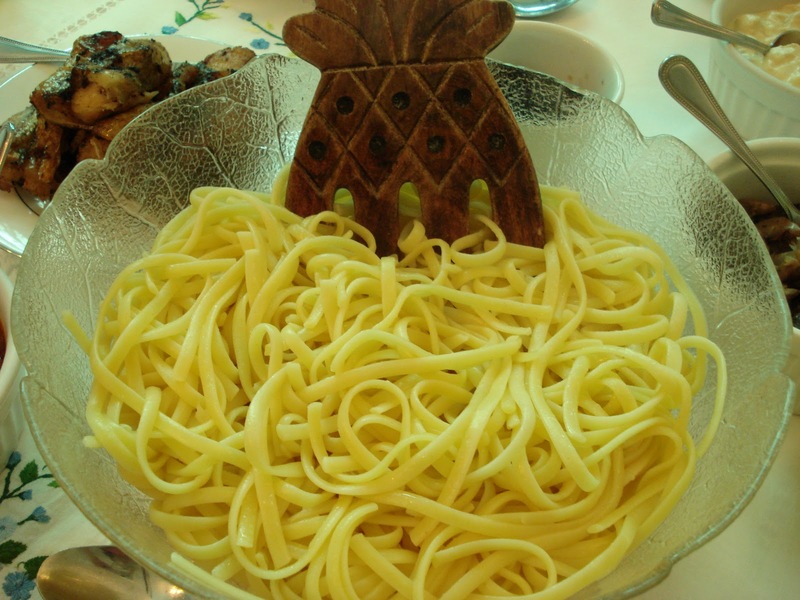 I love the delicious smell of freshly cooked pasta and the noodles were perfectly al dente. After pasta, we still tried to leave a tiny space for dessert. Mommy told us to watch out for this and boy, were we excited. 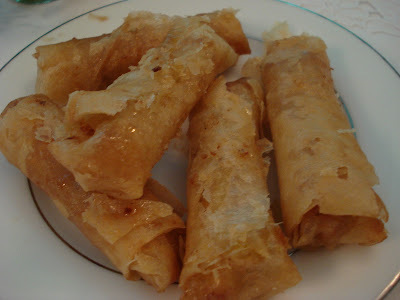 Out came two plates: one filled with deep-fried turon and another was sweetened kamote cubes. Both were delicious and we enjoyed every bite as we take sips after sips of Sonya's tarragon tea. A perfect way to end our delicious meal. 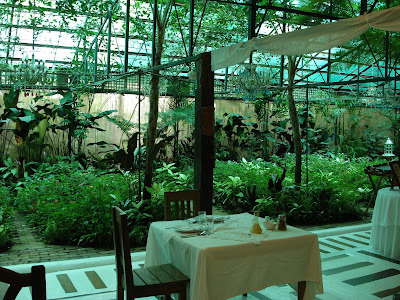 We were truly enchanted by Sonya's delicious spread and while it used to be a secret go-to place by Tagaytay regulars, word quickly spread out and soon we always have to make it a point to make reservations ahead of time as Sonya's Garden has become a regular stopover by Tagaytay visitors. The line-up has still remained the same and surprisingly we still have not gotten tired of it. Instead, I would find myself craving for Sonya's delicious salad, dalandan juice and pasta every now and then. 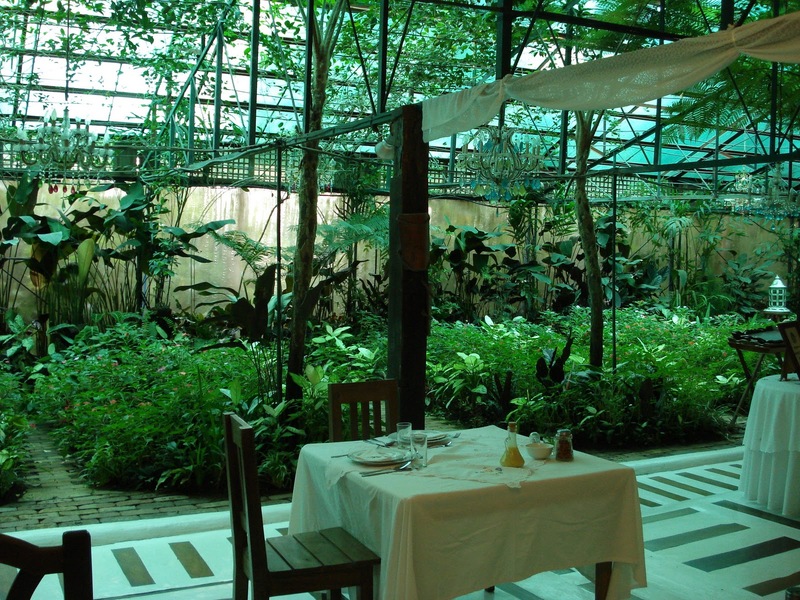 After enjoying lunch, be sure to explore Sonya's well-kept garden. She also has a pretty bed and breakfast place which is perfect for couples and honeymooners who simply just wants some peace and relaxation. Definitely going on my list. Problem is getting there!